A couple of months ago I did a series called “Finding Your Niche.” This series was a set of guest posts by third culture kids who have found places that fit their multicultural pasts. 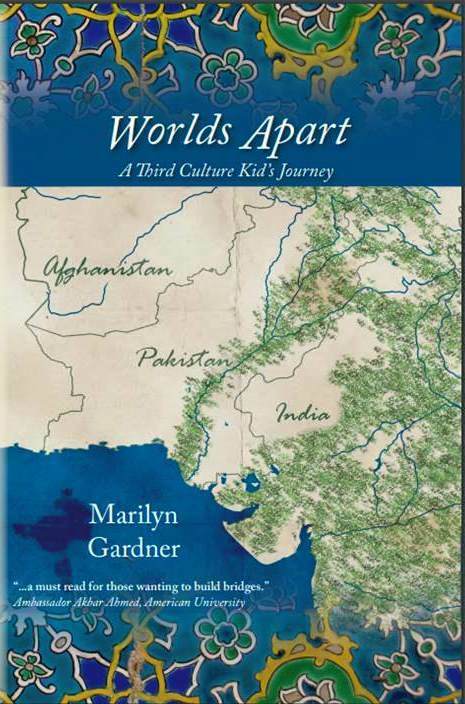 The theme of the series – “How do I connect my multicultural past with a meaningful present?” The essays were excellent. From law to international development to living in an expat community to seeing yourself in the light of your family history, everyone had a story of finding their niche. It’s a question that so many of us raised between worlds ask ourselves all the time. How do I find work that has meaning? How do I fit into the cultural values of my passport country when I know so little about it? Do I matter? Does my background matter or will it just fade into oblivion, like an old file into a file folder, only to be dug up long after I’m gone? How can I take the invisible skills that served me so well for so long and connect them to where I now work? Some people find it easier than others. Whether by sheer luck or strategic career choices they land in a place where they can use the best of who they are as third culture kids in their places of work. Others struggle. They live in rural Iowa, or small town Vermont, or any number of places where diversity is the one adopted kid on their street, and the only ethnic restaurant is bad Chinese food at a take out place – food that those from China would never recognize. This is incredibly tough. It’s not being a baby and discontent to admit that nothing in our lives prepared us for small, seemingly narrow-minded spaces in our passport countries, it’s accepting reality. Coupled with that is the natural restlessness, the sense that we need to get to the airport and catch the first plane to anywhere just to relieve the ache in our souls. The restlessness when we feel like others take too long to make decisions, aren’t willing to see the point of view of those different from them, or simply seem too monocultural in their approach. Sometimes the solution is to find another job. It really is. Sometimes there is a better fit for us, a place where those ‘best of’ skills can be used. Other times we are to stay put. Stay put and look at the big picture. What can we offer to our company? To our place of work? Where can we listen, learn, and challenge the status quo in a given situation or work place? With a mobile childhood, life choices differ. Some people never want to move again. I have moved my kids from the proverbial “pillar to post” and I know that has worn on them, made them alternately restless and longing for roots. A couple of my kids may never end up moving again. Others may be similar to me and my husband, restless at 6 years and moving at 7. But even though life choices differ, some of what we bring to our work and our communities is similar. We also know that when surveyed on adjusting to their passport countries the response was that they “never adjust.” Not really. Let me quantify that by again quoting Dr. Ruth Hill Useem “The answer to the question of how long it takes them to adjust to American life is: they never adjust. They adapt, they find niches, they take risks, they fail and pick themselves up again. They succeed in jobs they have created to fit their particular talents, they locate friends with whom they can share some of their interests, but they resist being encapsulated. Their camouflaged exteriors and understated ways of presenting themselves hide the rich inner lives, remarkable talents, and often strongly held contradictory opinions on the world at large and the world at hand.” There is much more research available but this gives a window into education and gifts that you may bring to your place of work. Along with some of the books and resources available are other TCKs who are a step ahead of us. They seem so amazing, so well adjusted, but what we see on the surface, the contentment and satisfaction, comes with a story. Hearing that story can be encouraging and life-changing. Knowing they walked through a path of trying to find their niche and figure out where they fit gives us hope and helps push us to action or gives us patience to wait. The art of negotiation – this is huge in today’s world. One has only to look at the abhorrent comments section on any controversial article to know that too many in our world are unable and unwilling to dialogue. Unwilling to look at a middle ground and negotiate. As third culture kids we have had to do that since birth. Flexibility and a high tolerance of ambiguity – when you spend a huge amount of your life in travel, airports, missing flights, rearranging schedules you learn that life brings you surprises. We can model this in our spheres of influence. “Stay where you are. Find your own Calcutta. Find the sick, the suffering, and the lonely right there where you are — in your own homes and in your own families, in your workplaces and in your schools. You can find Calcutta all over the world, if you have the eyes to see. Everywhere, wherever you go, you find people who are unwanted, unloved, uncared for, just rejected by society — completely forgotten, completely left alone.”We can do this! Indeed I’ve seen it many times. Cultural competency and humility – If you define cultural competency at its most basic level, it is about learning to communicate and function effectively across cultural barriers, cultural differences. So no matter where you live in the world, cultural competency is a useful, even necessary skill. In our increasingly diverse societies, it is indeed a critical life skill. The term cultural humility was developed in 1998 by two physicians: Dr. Melanie Tervalon and Dr. Jann Murray-Garcia. They proposed that this was what the goal should be when it comes to looking at outcomes in patients. They say this: “Cultural humility incorporates a lifelong commitment to self-evaluation and self-critique, to redressing the power imbalances in the patient-physician dynamic, and to developing mutually beneficial and non paternalistic clinical and advocacy partnership with communities on behalf of individuals and defined populations.” I propose that the same principal can be used in other relationships by taking the first part of their definition and applying it across our lives, wherever we may be. Cultural humility incorporates a lifelong commitment to self-evaluation and self-critique. Fun and a sense of adventure – In our stressed out world, who better to help people relax and not take themselves, or their work, too seriously? When you think about those characteristics, they can be used in any work situation. While they seem best used in international settings, at least to those of us with one foot in the air, they are life skills and they are valuable. With every strength comes a weakness, and we are not going into that today. That’s for another day. But if you are a third culture kid or an adult third culture kid be encouraged! Your background gives you an amazing perspective. May we all be able to do the sometimes hard work of making it matter! What would you add to the list of what adult third culture kids/third culture kids bring to the workplace? 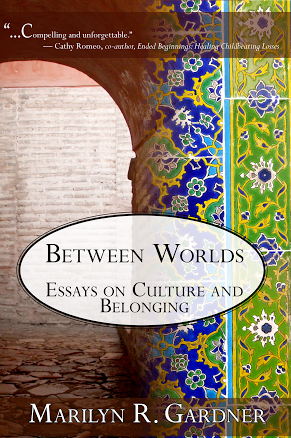 Only a few days left to buy Between Worlds and in doing so donate to the refugee crisis in Syria. Head to Amazon or Barnes & Noble for your copy and all proceeds go to a cause! Next > Grow Up Boston! I like this post Marilyn. Thanks. Just what I needed as goodbye season starts…. and I am not ready …. Auntie Mary! You are my favorite! The ‘noon’ is to remember the Christians in Mosul – ISIS marked a red ‘n’ on their doors to target them. They were given 3 choices: flee, convert, or be killed. Thanks so much for asking! I love you deeply. It’s a complicated, at times contradictory path, and it’s posts like this (and your book) that help me navigate it – so thank you. Thank you for sharing your wisdom and your earned facts. They make more of a difference than you can imagine. It’s been interesting watching your train of thought on work this week. It got me thinking, though I haven’t responded till now. I know that wars in the Middle East especially weigh on you, and they don’t weigh on me as much, because I didn’t grow up there like you did. So I can’t comment on that specifically. Though I can say that I find meaning in the small work that I do. I think we all have to find meaning in the work we do, otherwise it would feel pointless to do it. And I don’t think work is supposed to be ONLY drudgery, though it sometimes is. I think we’re supposed to feel purpose in SOMETHING in life. Maybe that’s the paid workaday job, maybe it’s something else, but there has to be purpose to something we do in life. And honestly, I never dreamed I would do anything but stay home with my kids. I had no idea I would ever write for other people. And so, even though that’s pretty small, it’s still meaningful — and much larger than I ever imagined.